Gary and I have noticed this cool little vintage car parked in our neighbourhood over the past few months. It's usually parked by St. James' Cathedral. Sadly, the last time we saw the little car it had a broken windshield. 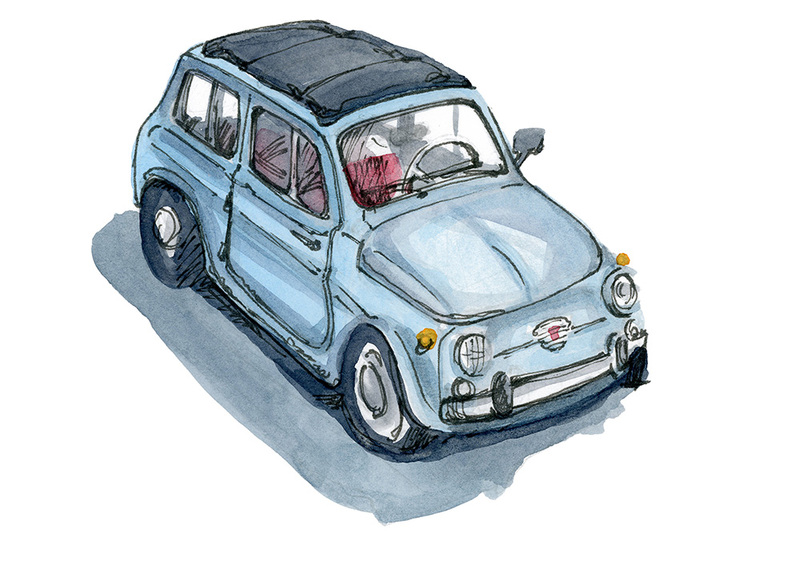 It's hard to tell from my sketch, but the car is really very small.